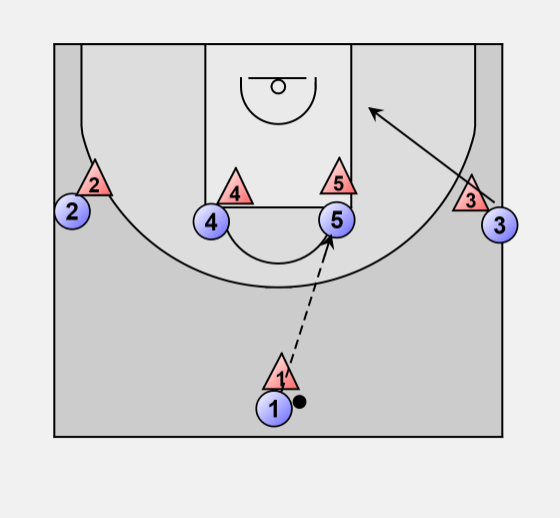 Starting in the 1-4 position the ball is passed to a high post. 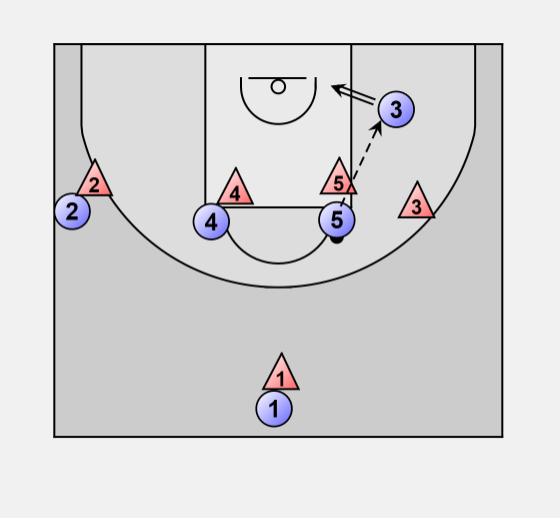 3 makes a v-cut and cuts to the basket. 3 gets the backdoor pass from 5 and scores.